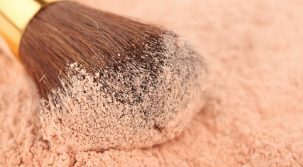 Home › Foundation & Blush › Foundation Makeup: Should You Use a Liquid or a Powder? Foundation makeup is the key to whether your makeup will look good or bad. The application of a foundation will help to smooth out your skin tone, conceal blemishes and give you a more healthy glow. Applying makeup without a foundation base can actually enhance unsightly skin problems, rather than conceal them. But before you head out to the store, here are some basic rules that should be followed when making your product selection. How Do I Choose A Foundation Makeup Base? First, you need to select the correct color for your skin tone. Often times, people choose foundations that are either too light – making them look pale and washed out – or too dark – which often leaves a line of makeup between the jaw and neck. Generally, you will look like you’re wearing a mask. The foundation color that you choose must blend in with your natural skin tone. Also keep in mind that your skin tone color will change with the seasons. In the summer, you will most likely need a slightly darker foundation color, as your skin will tan somewhat (even if you don’t purposely suntan – you still need to go outside sometimes.) In the winter your skin will lighten again back to its original tone and you should use your natural base color foundation makeup. The next decision is to determine whether you would prefer powder foundation or liquid foundation makeup. This tends to be more personal choice, although there are pros and cons to both types. Most women seem to prefer the liquid foundation base. It appears to be quicker and much easier to apply. As well, once blended into the skin, liquid foundation makeup appears more natural and lighter, giving the skin a smooth, even appearance. However, how it is applied can also make a difference. Applying too much will cause streaks and spots that look “heavier” then others on your skin. Using a makeup sponge rather than using a fingers can help a lot with creating a smooth, even appearance. Apply a small amount of liquid foundation at a time and blend in carefully. Another advantage of a liquid foundation is that it absorbs into the skin rather than sitting on top of it, so you get a more natural skin tone appearance. It also comes in a variety of bases to suit women with dry skin, normal skin, oily skin, combination skin, and sensitive skin types. Powder foundations are a less popular choice, but can work just as well as liquid foundation makeup. It’s easy to apply and there is less blending involved. They are also great for people that have very oily skin, as the powder will soak up the oil and prevent a greasy appearance. You can also carry a compact powder case with you on days when you need to do a slight touch up to your makeup or on days that are hot and humid, to rid your face of shine. Liquid-powder foundation combinations are another choice that is gaining in popularity. The foundation makeup comes in a compact, much like powder bases, but contains a somewhat creamy mixture. Application of this foundation gives a smooth appearance, like a liquid, with the absorption benefits of a powder. However, you have to be careful when applying this type of foundation, since a heavy hand will give you a caked appearance. Like liquids, the key is to apply it lightly and blend well. This combination is not the best for people with dry skin as it will also give you a patchy skin appearance. Choose this type of product if you have normal to oily skin. If this is the first time you are going to buy a foundation, you should visit a make-up counter that allows you to try out the various products or seek out a professional make-up artist to help you with your selection. For those that have problem skin, such as severe acne breakouts, you should visit a dermatologist first. 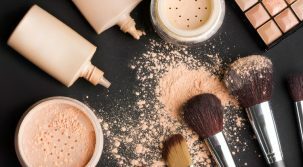 They can help you with making a wiser choice on the type of foundation makeup would work best, plus provide you with other skin care options to help clear up underlying problems. 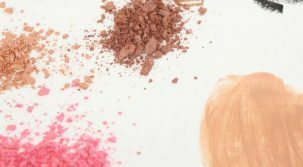 Remember, the best makeup techniques start with a good foundation that is appropriate for your skin type and skin tone. Be smart and take the time to research what is out there before spending money on any product. You’ll be happy you did. Foundation Makeup: Should You Use a Liquid or a Powder? Reviewed by FashionPole on October 21, 2016 .